Pokemon Go just launched its new "Adventure Week" event, which (among other incentives) increases the appearances of Rock-Type Pokemon. Players who were playing right as the event began around 4:30 PM ET discovered a pleasant surprise: a swarm of Larvitar. When the event first began, players (as reported on Reddit) discovered the ultra-rare Larvitar spawning along with other Rock-Type Pokemon. 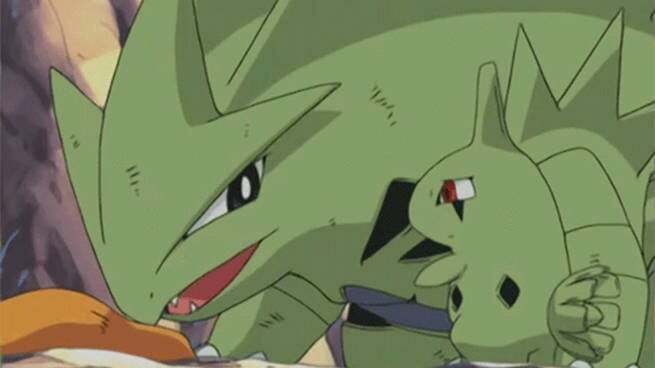 Larvitar eventually evolves into the pseudo-legendary Pokemon Tyranitar, one of the most powerful Pokemon in the game, so people were understandably thrilled to see them pop up with such a high frequency. However, after about an hour, the Larvitar spawns decreased dramatically. While people are still reporting Larvitar spawns, they're considerably rarer...which makes sense given how valuable they are to players. This isn't the first time we've seen a psuedo-legendary Pokemon swarm at the start of an event. Dratini (which eventually evolves into the powerful Pokemon Dragonite) initially appeared in large numbers as part of March's Water Festival event, even though it wasn't a Water-Type Pokemon. After about an hour, Niantic adjusted the spawn rate so Dratini wouldn't appear so frequently. So, the real question is whether this is a deliberate move on Pokemon Go's part or just a happy accident. Dratini and Larvitar are both rare Pokemon whose final evolutions are among the most powerful in the game. Pokemon Go needs to keep these Pokemon rare in order to keep the (already broken) gym system at least somewhat competitive. Either these "swarms" are just a quickly corrected mistake or they're a reward to players who immediately start playing Pokemon Go as soon as an event begins. Whatever the reason, the swarm has already finished. Adventure Week runs through May 25th and we'll have coverage of all its surprises and quirks throughout the weekend.